The independent Local Government Boundary Commission for England want to hear where people think new council ward boundaries should be drawn across Ribble Valley. There is still time for local residents to tell the independent Local Government Boundary Commission for England where they think new council ward boundaries should be drawn across Ribble Valley. The Commission is asking people and organisations for their help to produce a new pattern of wards for 40 borough councillors: the same as the current arrangements. 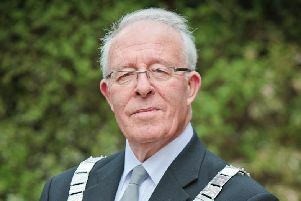 Professor Colin Mellors, chairman of the Commission, said: “We are asking local people and organisations to help us draw up a new pattern of council wards for the whole borough. “We want to hear local views on where people think the focal point of their community is and where the natural boundaries between communities might lie. “As we draw new boundaries, we will try to ensure that each councillor represents roughly the same number of voters. We also aim to produce a pattern of wards that reflects the interests and identities of local communities. The Commission is gathering local views before it draws up draft recommendations for a new pattern of wards which are due to be published in April 2017. Residents and organisations will then get another chance to have their say in a further round of consultation. This phase of consultation closes on Monday, January 30th, 2017. Further information about the review and interactive maps of existing wards can be found at: https://consultation.lgbce.org.uk and www.lgbce.org.uk.